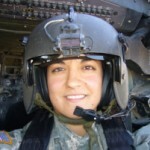 Lindsey graduated from West Point in 2004, and commissioned into the Army as an Aviation officer. Over the subsequent seven years, Lindsey served in Korea, Iraq, and various duty stations in the southern US. She left active duty in 2011, and took a much enjoyed and needed year off before returning to school in pursuit of her MBA and MPA at NYU. After graduation, she will begin a full-time position with Bank of America Merrill Lynch’s Public Finance banking group. She is a Tillman Military Scholar, a board member for the Warrior Scholar Project, and a member of the Truman National Security Project Defense Council.